My friend Sue came over yesterday and we had a fun creative day working on some upcoming projects. 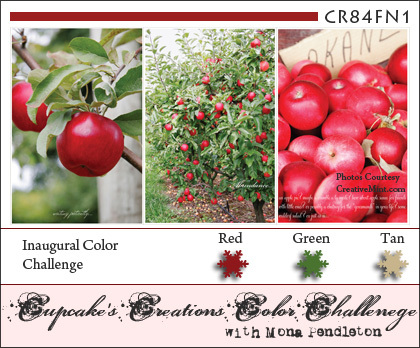 We put them aside for a bit and challenged each other to use the Get Sketchy #62 Sketch along with our friend Mona's new CR84FN1 Color Challenge. 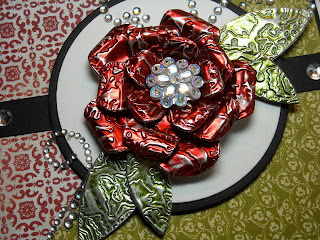 I also incorporated some Damask, for the Diggin' on Damask challenge in the Moxie Fab World. 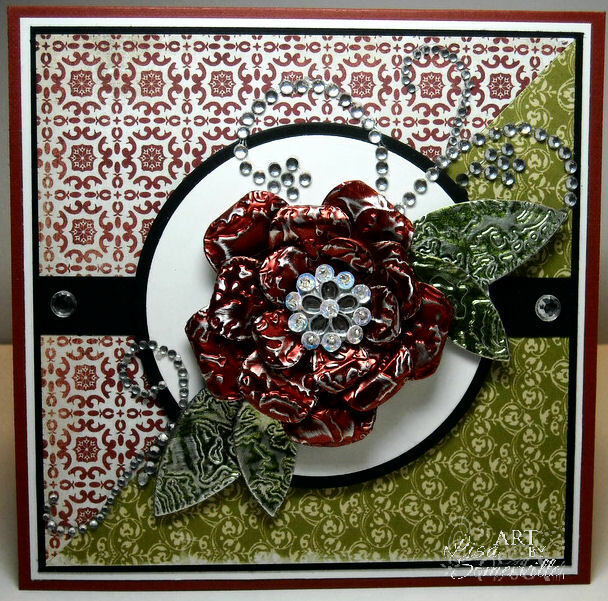 The Posy and leaves are cut from Ten Second Studios Metal that I embossed with the Texture Fades Damask Folder. The Posy was cut from Barn Red Metal, The Petals from Silver Metal that I stained Green with Alcohol Ink. I sanded the embossed area lightly to expose the backside of the metal. I curled the Posy flower and stacked the two smaller flowers onto of the larger one using a Pop Up Glue Dot, then added a Prima Flower Center. The beautiful papers are Basic Grey and Webster's Pages. Beautiful creation...love all the textures you designed! Big WOW! What an incredible art piece! Love all the beautiful elements and the metal flower is oh so fabulous! Love this!! Fabulous! You really rocked the two challenges. Beautiful flowers and papers! 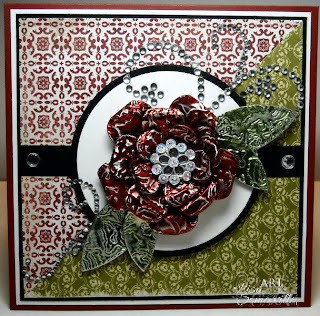 I LOVE that metal flower and the damask! Wish I could have come over to play to see how you made that! FAB card! Lisa your flowers are gorgeous, I love the colors and what you did with the layout. Beautiful work. Wow, Lisa, this is incredible! That metal flower is a work of art! You combined those challenges perfectly. Nice flower, has a vintage feel to it. Wow ... this is absolutely stunning. I'd love to have a pin for the lapel of my coat that looked like that ... gorgeous. What a truly amazing flower on a gorgeous card! Wow! Lisa this is so awesome. It looks like you welded metal or something. It is very "Give Me a Big Show" at MOMA--type art! I love the colors. And, talk about texture...that is wonderful. I love Damask. 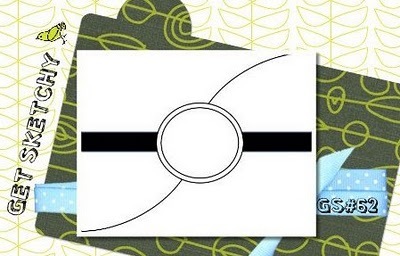 I am trying to find a stamp with just one part of the Damask showing...not a border. Any idea? I bet you had so much fun with Sue! 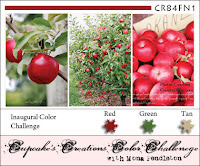 Love this flower and the creations you are doing with these new to you dies! Just amazing what you do GF! Luv this project! Wow, just amazing. Love what you created. Cool flower, Lisa! Love this project! Just taking a stroll through your blog, love your creations...especially this flower made with metal, it's gorgeous! Do you think this technique would work with metal from a soda can?